This week, I was charged with the task of creating return address stamps for a client. What a great, easy, inexpensive and thoughtful personalized item that would make the perfect gift for newlyweds, a housewarming or as a hostess gift. 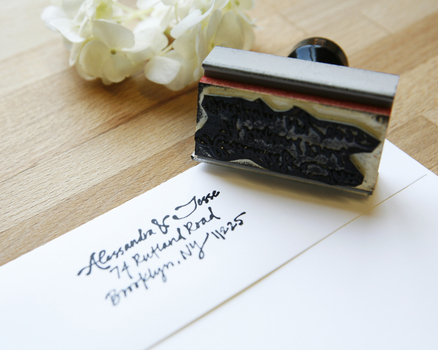 Custom calligraphy address stamps are a great cost-saving alternative to having your printer do the return address on your envelopes or having a calligrapher do each envelope by hand. Many sellers on Etsy offer such stamps. However, your own wedding calligrapher can help you DIY. Have your calligraphy create a template of the address and scan it at a high resolution. You can then upload the graphic to a service Simon Stamps which can then turn it into a custom stamp. Voila! 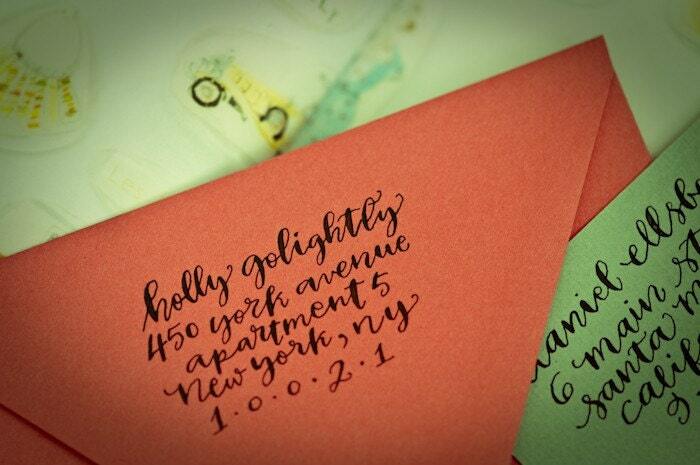 - a beautiful return address that matches the calligraphy on the front of the envelope for a fraction of the cost.